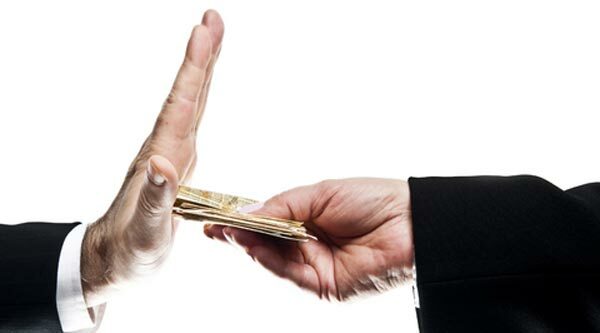 Is Tithing to the Government Required? Believe it or not, this is a very serious question that has some scriptural support. Forget about the debate over tithing within the Church. Does the bible require us to give 10% of our increase to the government? Believe it or not, the scripture we use to defend tithing within our Church can be used to require tithing to your government. This may sound far fetched, but you may believe me once you read below. Melchizedek was just as much a king as he was a priest. He was not more priest than he was king, nor was he more king than he was priest. The text in Hebrews 7:2 states that Melchizedek’s literal name means ‘King of Righteousness’. When we study the account of Abraham tithing to Melchizedek, we find that Abraham gave him a tithe of the spoils of war, and did not give him a tithe from his own possessions. This brings serious questions to Abraham’s motives. It would seem that Abraham’s motives for tithing were more political, than they were for personal, or religious reasons. As a personal and intimate gesture, ‘I’ would have given a tenth of my own wealth, since this would be a sign of sincere thanks. But as a political gesture, I would have given in a way that resembled paying a tax. Many bible scholars consider the tithe as the minimum obligation and emphasize that offerings above and beyond the tithe show the true intent of our heart. Since Abraham did not give above a tithe (not to mention from his own wealth) he practiced the bare minimum at best. Once again, do you think Abraham’s motives were personal or political? Was Abraham giving a tithe to God or was he giving a tax imposed upon the land he was traveling through? If you read “The Assyrian Dictionary of the Oriental Institute of the University of Chicago”, it provides 11 different accounts of a 10% tax being imposed in the region that Abraham met Melchizedek. I do not like getting into the boring research, and quoting PhD’s, and reading a bunch of words that i have to look up in Webster’s; but this was kind of necessary to show you how antiquated the civil tithe tax is. There is much more proof of an ancient tithe tax in Abraham’s region, but to prohibit boring you to death, i will not get into it. The fact is that the tithe was required by governments prior to Abraham’s existence. We have to accept the fact that Abraham’s example is possibly not in response to worship, but to his civil duty to pay his tax. Historical records definitely expose the civil tax, and the bible does not deny it. There may be some of us who show interest in biblical numerology. For instance, we see significance in the numbers – ‘3’, ‘7’, ‘666’ and the list goes on. The number ’10’ also has a symbolic reference in the bible and many times it is in reference to the law and government. Here are the examples. In the Old Testament, a leader was put over ten people and a new leader above ten leaders. (Exodus 18:21-25; Deuteronomy 1:15). The ten people from all nations in Zachariah 8:23 represent people who want to be ruled by the king of Israel. 10 horns represent 10 kings (Daniel 7:24; Revelation 12:3, 13:1, 17:3-16). As we can see the number ten has a symbolic role with the function of civil government. Keep in mind that there are other meanings behind the number 10 just like any other number. While Israel was strictly under a theocracy there was no king to tithe to, but in 1 Samuel 8:15-17 we read about the natural effect of Israel eventually adopting a monarchy. Prior to Israel adopting a king, the theocracy was their form of government. This means that the levites and priests operated in judicial positions. All the priests did not occupy the temple year round. They had 2 week shifts. So, during their ‘off-duty’ time, the levites also had civil duties in the cities while the religious tithe supported their civil duties. So even prior to the adoption of a monarchy, Israel’s original tithe still went towards civil duties of the government. After the adoption of a monarchy, an additional 10% was given completely to their new form of government. Note that when the monarchy began, the Levitical, civil duties did not terminate. So there were tithes given to both forms of government – the theocracy and monarchy. In other words much of their 20% was going towards some form of government. Who can explain this paradox? I think there’s two conclusions i can see from this – God owns it all, and pay your taxes. Romans 13:6-7 For because of this you also pay taxes, for they are God’s ministers attending continually to this very thing. Render therefore to all their due: taxes to whom taxes are due, customs to whom customs, fear to whom fear, honor to whom honor. I have to admit that this is the first time i’ve noticed the bible calling your government – ‘God’s ministers’. I thought this title only belonged to priests pastors? What do you think is a worthy payment for God’s ministers? Is it 1%, 5%, or 10%? Maybe you are part of the growing population who don’t pay taxes at all. Maybe that’s why your finances are under a curse. Maybe you should start sowing seeds into uncle Sam instead of uncle Benny, uncle Kenny, uncle Creflo, and aunt Paula. What about 1 Timothy 5:17-18? Let the elders who rule well be counted worthy of double honor, especially those who labor in the word and doctrine. For the Scripture says, “You shall not muzzle an ox while it treads out the grain,” and, “The laborer is worthy of his wages.” Is not the labor of your government worthy of your honor, and of your tithe? Speaking of double honor . . . Is there anywhere in the bible where it says to give less than a tithe towards the government? If Abraham and Israel did it, Jesus confirmed it, and the New Testament admits it, then what do you think we should do about it? Ok. So, here’s the truth. I don’t believe tithing to your government is required, but i wanted to show you how i can use the same verses and the same logic to defend tithing to the government as most people use to defend the 10% tax on the Church. I’m sorry if you were confused about where i was going with this blog, and whether i truly believed tithing to the government was required. If Abraham’s example of tithing to King Melchizedek doesn’t convince me to tithe to my government, then why should it convince me to tithe to the Church? If biblical numerology doesn’t seem extraordinary enough to challenge you to pay a 10% tax, then why should the tithe challenge in Malachi 3:10 be extraordinary? If Israel’s tithe to their government doesn’t convince you to tithe to ours, then why should their example to tithe to the Levites convince you to tithe to your pastor? If Jesus command to give unto Caesar doesn’t convince you to give back your tax return, then why should Matthew 23:23 convince us to tithe to the Church? If God’s ministers deserve our financial support then shouldn’t everyone be required to give a 10% minimum to their government? . . . I’m just asking. 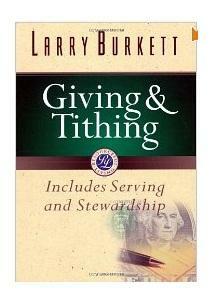 The only difference between tithing and taxes is that God only requires you to pay one of them and it’s not tithing. Jesus did NOT confuse between tithes and taxes – in Scripture they are not the same thing. He was aware of a political government that demanded taxes from its subjects and He submitted to it (Matt. 17:24-27). Yet, He did not treat tithes in the same manner (Matt. 23:23). 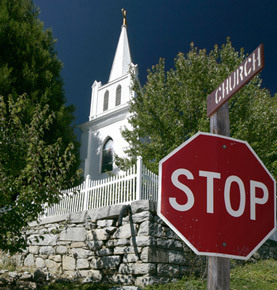 Tithes in Churches are not “defended” as “10% tax on the church” – that, at best, was your own idea. 1 Timothy 5:17-18 is not about a political or civil tax; and I don’t know how many churches you have on your list that use that Scripture to preach a “10% TAX” on the church. You don’t have to go out of your way to misrepresent issues and churches. My advice to your quote – “If Abraham’s example of tithing to King Melchizedek doesn’t convince me to tithe to my government,” – then by all means DON’T. Abraham’s tithes to Melchizedek was NOT a tax, to begin with. If it were a tax, Scripture would say so quite plainly. Many Christians who choose to tithe do not confuse tithes for taxes, and there really isn’t any need to try and misrepresent these terms for your position. This whole post really wasn’t about tithing or taxes to the government. It was proving that Abraham’s actions, mysticism, repetitiveness, nor pre-law establishment are foundations to determine doctrine. Believe me, i’m the first to admit that there are tons of flaws in the logic of that post. i do believe sacrificial giving is a mandate for the New Testament Church, but i cannot support the 10% minimum requirement. If you wonder how i support sacrificial giving but not a measly tithe, then i would say in the same way i support sacrificial service without supporting a minimum requirement to serve. Thanks, Jared. I may not see how you managed to prove what you set out to, but I wonder about the rationale in the first place. ‘Abraham’s [..whatever..] are foundations to determine doctrine’ – but if you acknowledge the flaws in that post, I’ll let it be. I believe the principle of tithing has been existent way before the mosaic law as proven by Abraham’s tithe to Melchizidek and Jacob’s vow to the Lord when He slept at Bethel and I believe this is still the existing requirement God wants of us today. He did add a new element. The new testament says God loves a cheerful giver. If you’re going to gripe about the tithing then the Lord doesn’t need nor want your money. Tithing is not just mandatory or mechanical. It’s a heart issue. Did God really add a new element in the New Testament? Since when was he Okay with griping and complaining about giving? Since when did what man thinks ever change God’s principles? We can complain but that does not change His requirements. Everything we do here on earth does not change what God is. If you don’t want to give, that’s fine. your loss. But to blog it and cause other people to stray from the right path is something else. best be careful. And yes, the new testament does not negate the old testament. The old testament was the ideal plan but could not perfect man, thus he sent the new testament, grace. But, again, the principles remain the same. A principle? Really? Since when is a standard, such as only giving 10% considered a principle? BTW, no one said to stop giving. i have stated numerous times that i believe in sacrificial, spirit-led, cheerful, liberal giving. You seem to be repeatedly confusing between a principle and a standard. That aside, I really don’t see what the big deal is about ‘sacrificial, spirit-led, cheerful, liberal giving’ – you make it sound like these ideals are only found in the NT when we know for fact that they are the very same principles already found in the Old Testament! As Christians we should come to grips with these simple issues. Please take time to do a bit more careful study of the OT – you will see the very same essentials you believe in already well taught in the OT. My definition of a principle would be considered something that you find by learning the lesson not by doing the exercise. I would consider a standard to be a measurable response to help teach God’s principles.